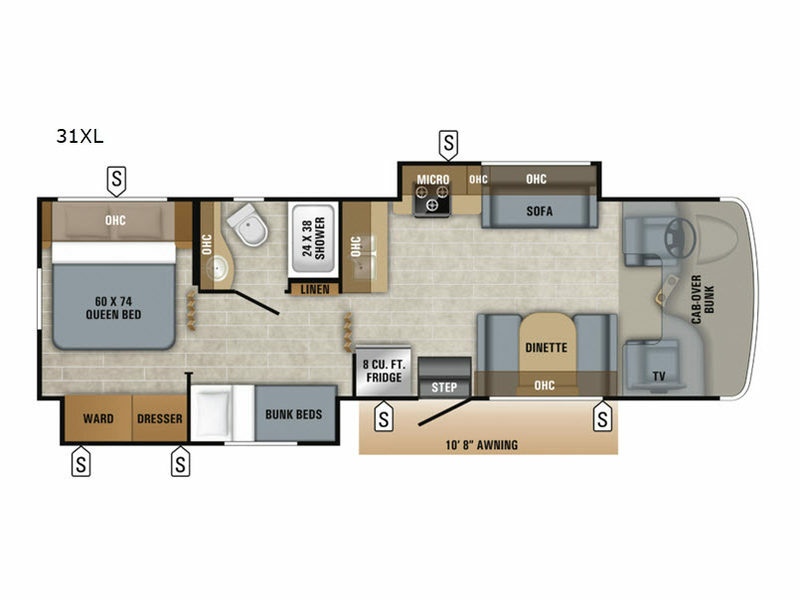 Uncompromising construction and design makes the reliable 2019 Redhawk one of the best values in its class. 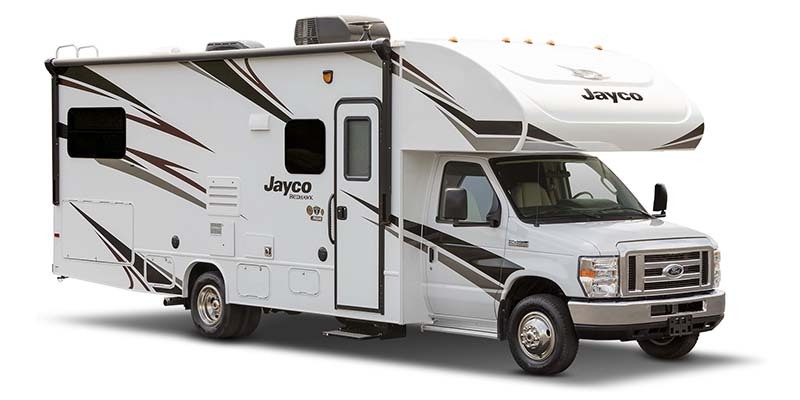 The Redhawk Class C motorhome is equipped with Jayco’s exclusive JRide® package, which includes a computer-balanced driveshaft, standard front and rear stabilizer bars, Hellwig® helper springs and rubber isolation body mounts. A 15,000-BTU ducted A/C and 31,000-BTU furnace with wall thermostat and auto-ignition helps adapt to your destinations. A 12V demand water pump and 6-gallon gas/electric DSI auto-ignition water heater plus filtration manage your water. 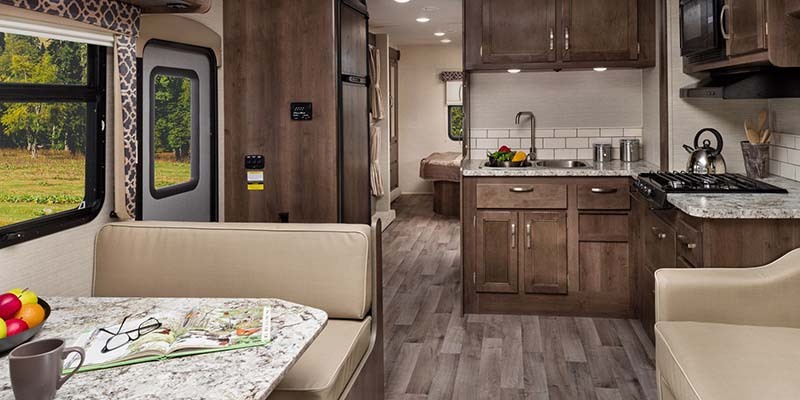 An LED-lit outdoor kitchen with a two-burner cooktop, the sink with a tank-connected drain and a mini refrigerator and added counter space make up an outdoor kitchen that is rarely found on Class C motorhomes like the Redhawk. The Redhawk is built on a Ford E-450 chassis that’s specially built to support the 7,500-pound hitch and its 750-pound tongue. The Triton® 6.8L, V10, 305 HP engine includes a 6-speed automatic TorqShift® series transmission with overdrive. If you’re taking a break from the outdoors, you’ll enjoy the 32-inch LED TV in the main living area that’s equipped with cable TV hookup and RG-6 coax. 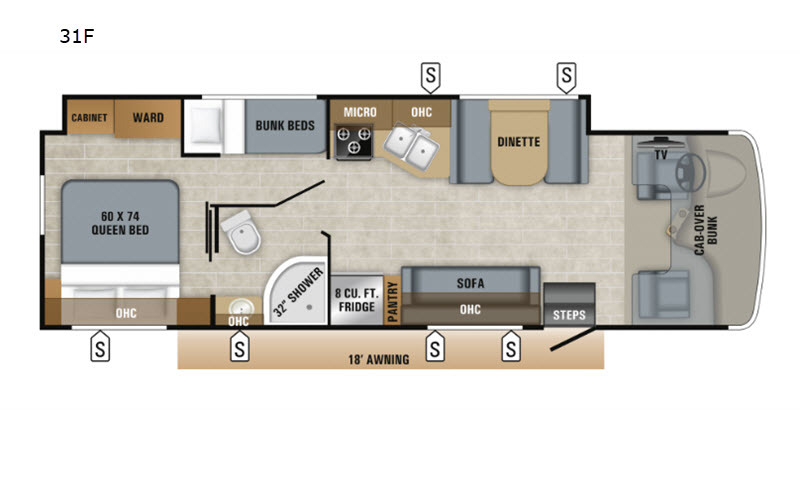 Jayco takes every opportunity to add convenient storage spaces throughout the Redhawk Class C motorhome including under the queen-sized bed that comes standard on all floorplans. 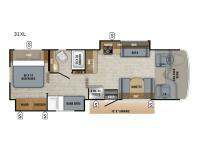 The Redhawk living area features linoleum flooring, LED lighting throughout and an 84-inch tall ceiling, and an 8 cubic-foot, flush-mount, double-door refrigerator. 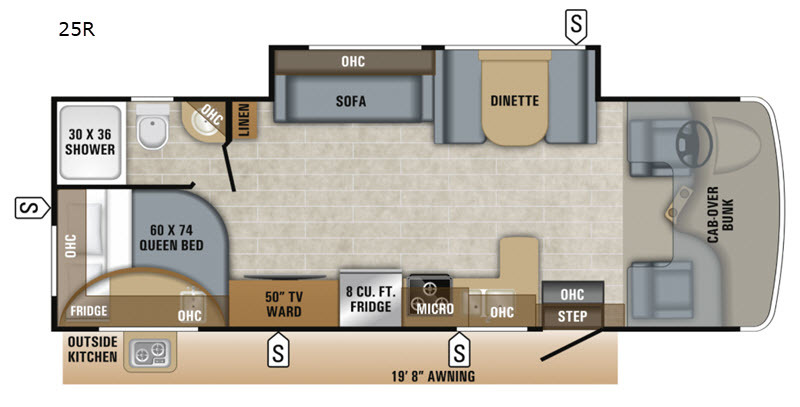 Go ahead and stretch out as you gather for the big meal of the day, a quick bite or morning coffee thanks to this Jayco-exclusive, easy-to-operate legless dinette design. 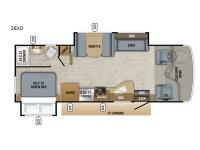 The Redhawk features a 3-burner range with a 9,000-BTU SuperBurner™ and piezo igniter, a convection microwave (n/a only on floorplan pictured, 31XL), 75-pound ball bearing drawer guides and a water filtration system. Jayco installs seatbelts in all seating positions—protecting the most precious cargo. 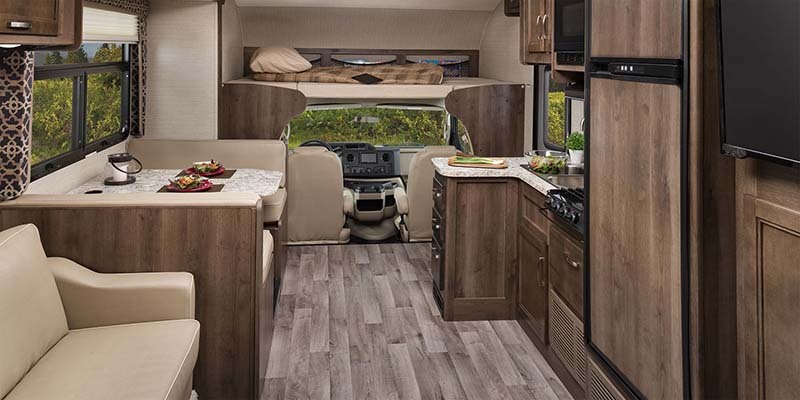 Redhawk’s roof, floor and sidewalls are built with Jayco’s exclusive Stronghold VBL vacuum-bonding and lamination process and added bead-foam insulation for durability and easier climate management. 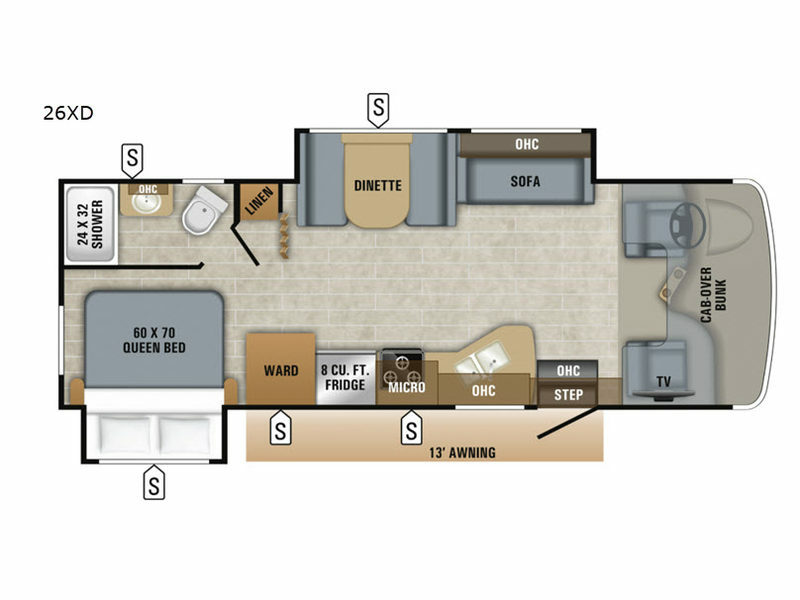 A full cab-over bunk with an industry-leading 750-pound rating and a 32-inch LED HDTV are standard in all Redhawk floorplans. Cruise safely and comfortably thanks to power windows, remote-controlled sideview mirrors, a backup camera, cruise control, a tilt steering wheel, power anti-lock brakes and steering with driver and passenger air bags. Jayco pays special attention to this crucial area of the coach. 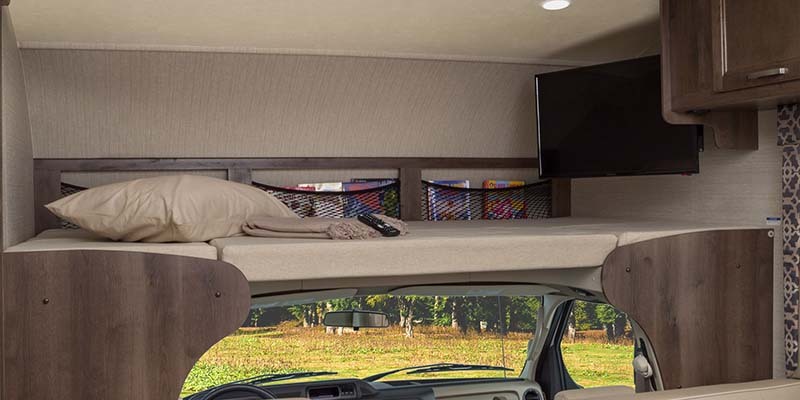 The one-piece, seamless, fiberglass front cap resists moisture and stands up to road or campsite debris. All Jayco motorhomes feature a third brake light for added on-the-road safety—helping alert fellow travelers when you slow down. 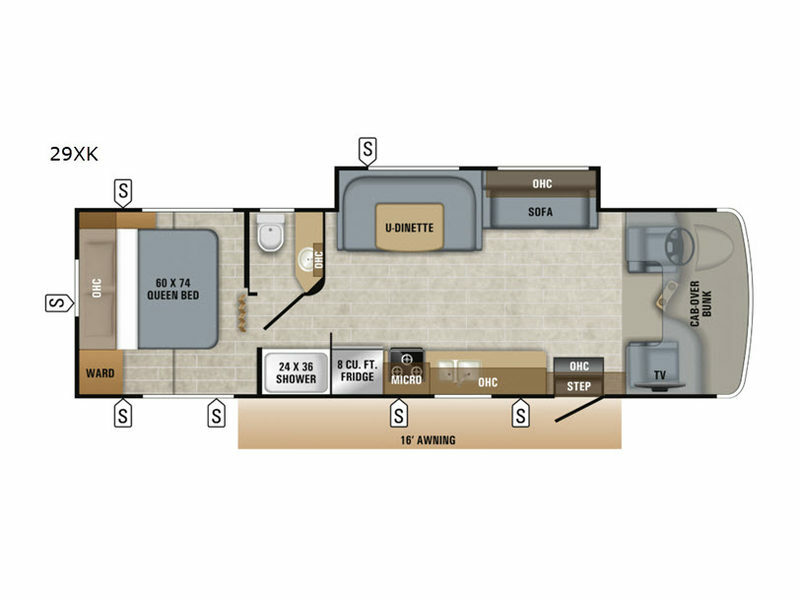 Everyone can cozy up in comfort thanks to a floorplan—31XL—that includes 300-pound rated bunks with dedicated LED lights and pleated night shades. 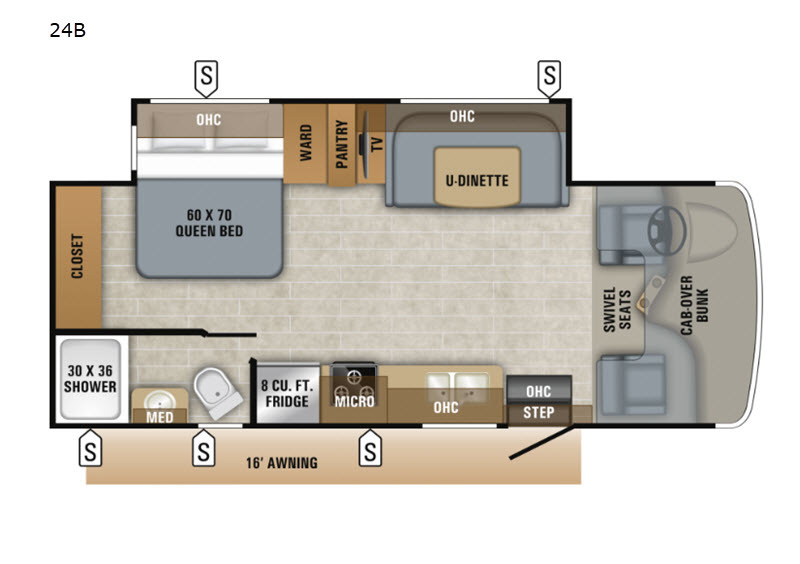 Each Redhawk features a queen-sized bed with bedspread. Pleated shades and reading lights help you wind down at your own pace. You’ll find additional storage under the bed as well. Ample storage and counter space make washing up or getting ready simple in Redhawk’s master bathroom. The spacious shower features ABS walls, a skylight and a removable clothing rod. Your whole crew will appreciate the 6-gallon, gas/electric DSI auto-ignition water heater. 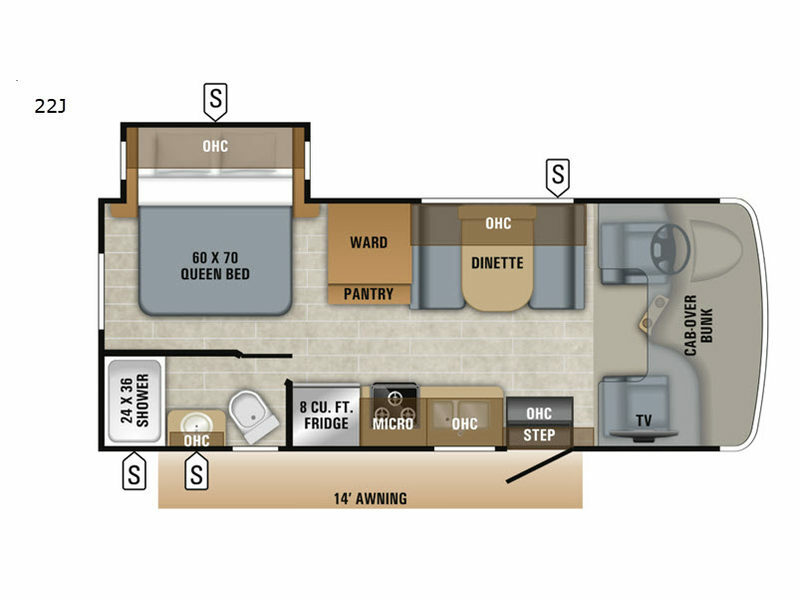 And all floorplans also include a toilet with foot flush.